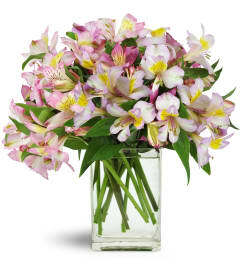 With a straight-from-the-garden look, this lovely pitcher arrangement is a perfect gift for Mom! 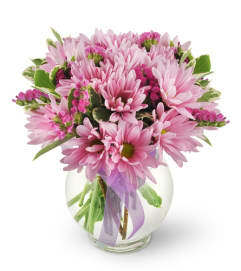 Bright, light, and charmingly cheerful - they'll adore it! 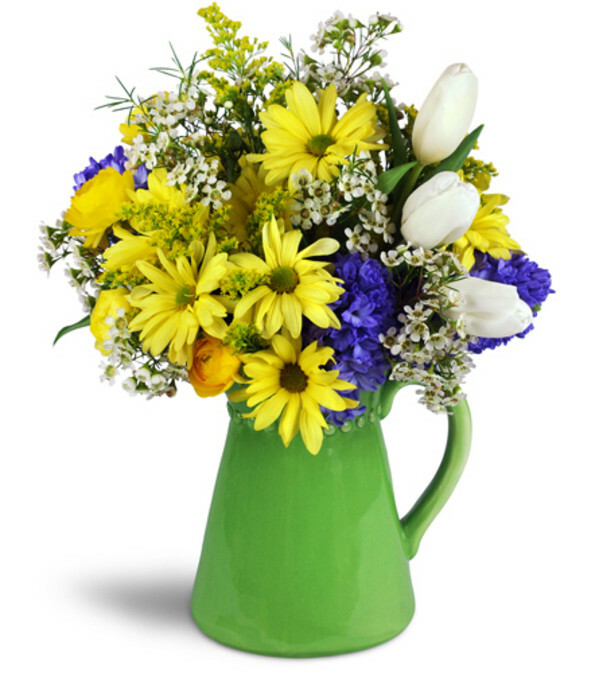 Fun yellow daisies pop among hyacinth, tulips, and more in a keepsake ceramic vase.